We are Phil and Lynn Marshall, and we have built our family business on the solid principles of quality personal service and complete satisfaction for our customers. 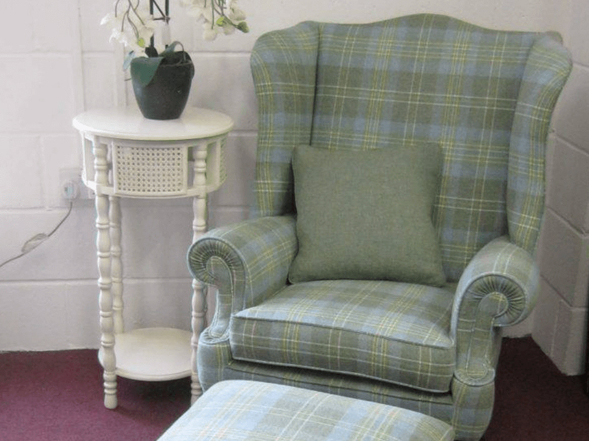 Formerly Oak Tree Upholstery Ltd, we now offer bespoke upholstery, re-upholstery and soft furnishings for your home. You can meet Phil and view items and fabrics on our stands at Stamford Market each Friday and Southwell Market every Saturday. 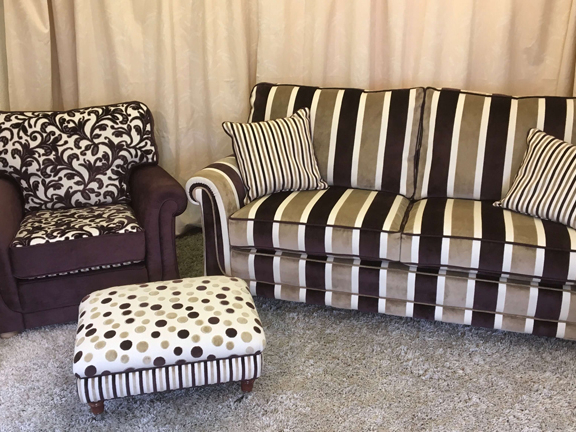 Or contact us to arrange an appointment in the comfort of your own home - we will bring the fabric and leather samples to you, ensuring the perfect match for your home decor. 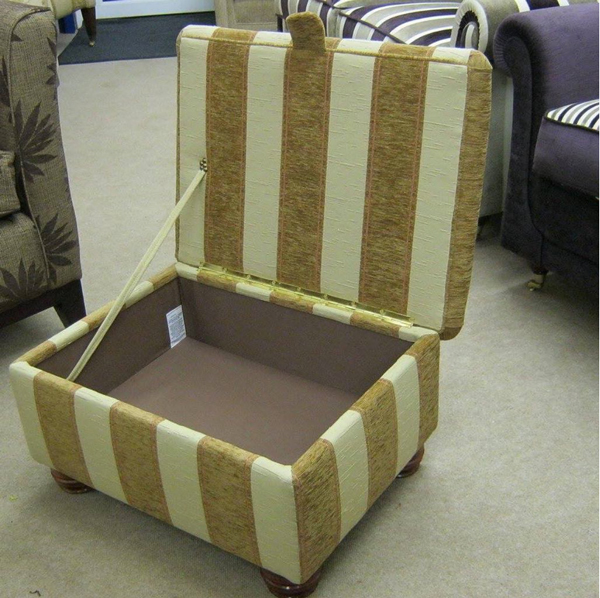 - Do you need your favourite suite, dining chairs, or footstools re-upholstered? 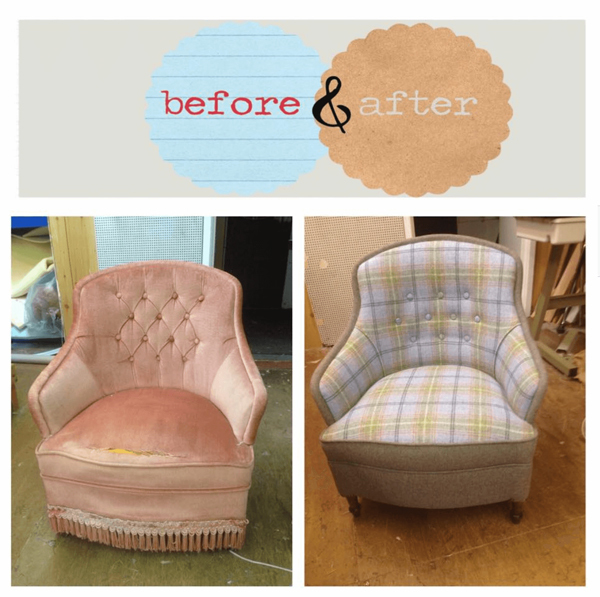 - Maybe you need some custom made furniture to match a new suite? - Perhaps you need advice on colour schemes, or want to purchase home interiors, matching curtains and roman blinds?  Quite literally, here at Oak Tree - we have it covered! 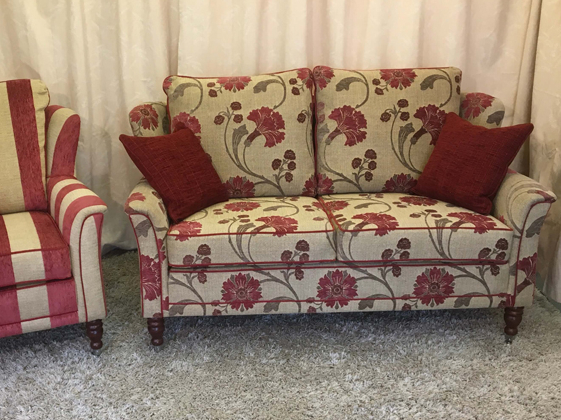 You can contact us by phone, email or the contact form below where you can upload photos of your current furniture for reupholstery. We will usually be in contact the same day Monday - Saturday. - Tailor made curtains and roman blinds for your room. 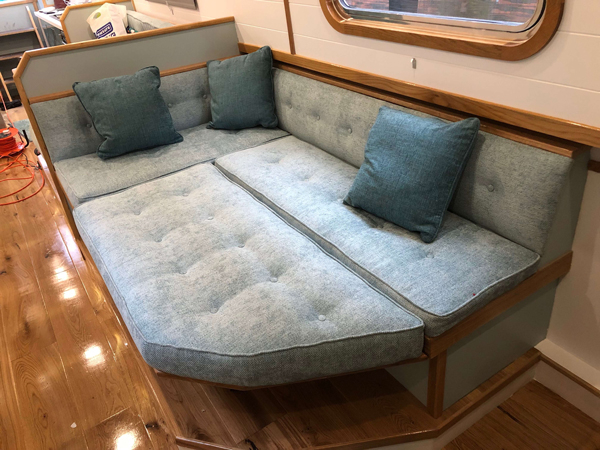 - Our reupholstery service takes 2-3 weeks for a full suite, but we don’t just leave you sitting on deck chairs - we can loan you a sofa whilst yours is being transformed! - There are hundreds of beautiful materials to choose from including leather and faux leather, Linwood Fabrics, J.Brown, Jim Dickens, Abraham Moon, Blendworth and many more. 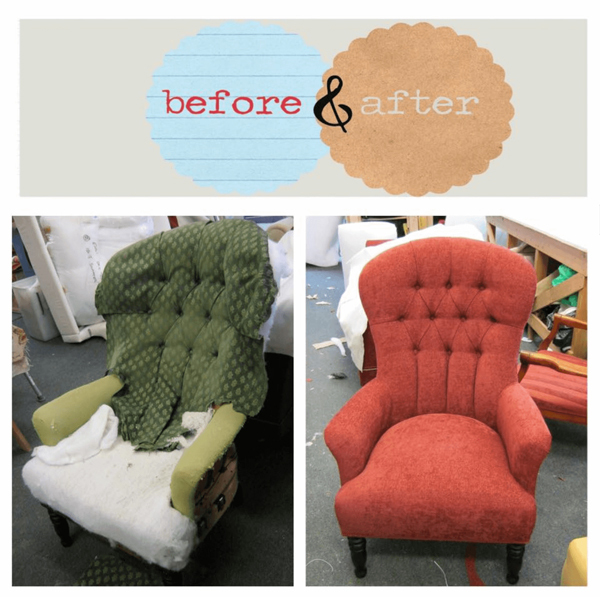 - Almost anything is possible - just give us a call to discuss! 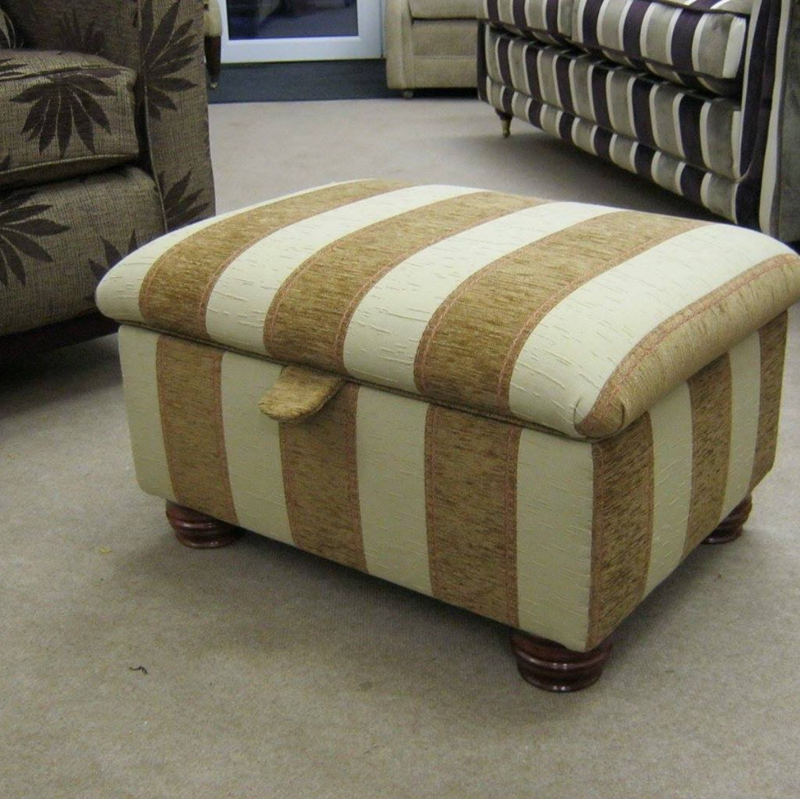 for bespoke items, reupholstered items and customisable items in our online store.